First Listen: Waxahatchee, 'Cerulean Salt' Led by singer-songwriter Katie Crutchfield, Waxahatchee addresses teenage flux with seasoned songcraft. On the band's new album, Crutchfield has a way of making dysfunctional relationships sound like something to strive for. Waxahatchee's new album, Cerulean Salt, comes out March 5. 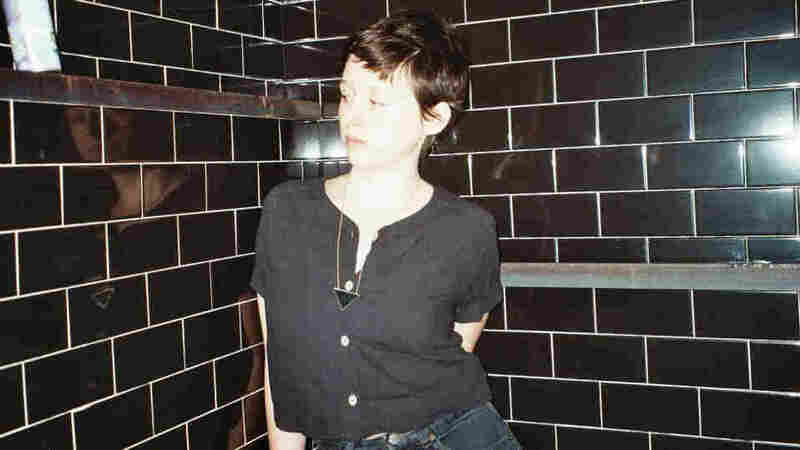 There's a line tucked into "Coast to Coast," from Waxahatchee's new album Cerulean Salt, that makes for a great introduction to Katie Crutchfield. After perhaps the most anthemic moment of the record — an exasperated reference to a talk show that keeps truckers and touring musicians awake at the wheel — she slips in what at first appears as an afterthought, but becomes a raison d'être the more you listen: "I'll try to embrace the lows." The lows in this case represent a variety of young-adult albatrosses: loneliness, fickle feelings, anxiety, self-doubt. We all encounter these emotions at various points in our lives, but most of us tend to quarantine them, lest anyone realizes how truly messed-up we feel inside. Crutchfield — or, more accurately, her songwriting — thrives on those periods of fragility. Her characters are almost always ambivalent, sophisticated adolescents wrestling with an uneasy mix of emotions. Happiness is a moment's peace; love a two-state solution. Crutchfield, 24, has been writing songs for about 10 years, dating back to her time in Birmingham high-school band The Ackleys (which NPR member station WBHM profiled way back in 2005) and later the D.I.Y. punk band P.S. Eliot (both of which included her twin sister Allison on drums). This puts her in the unlikely position of addressing teenage flux with seasoned songcraft, which she did to devastating effect on last year's American Weekend -- which featured one of NPR Music's 100 favorite songs of 2012, "Be Good." Cerulean Salt (out March 5) marks a departure from American Weekend's solitary acoustic guitar. Crutchfield wrote and sang all of these songs herself, but enlisted help from her friends when bringing them to life. Her boyfriend, Keith Spencer of the band Swearin', adds drums to eight of these tracks, and her sister's boyfriend, Kyle Gilbride (also of Swearin'), produced the album in the four's group house in Philadelphia, making Cerulean Salt something of a family affair. The instrumentation may have changed, but Waxahatchee is still all about Crutchfield's heartrendingly honest lyrics, and she doesn't disappoint. The opening couplet sets the tone: "I left like I got my way / But truly I left with nothing at all." She has a way of making dysfunctional relationships sound like something to strive for, as in this line from "Swan Dive": "And we will find a way to be / lonely any chance we get / And I'll keep having dreams about / loveless marriage and regret." There are more where that came from; your past, but hopefully not your present, will dictate which lines speak to you. So go ahead. Press play and get low. You'll feel better.